While Mad Decent revealed a number of notable names would be appearing at this summer's impending Mad Decent Block Party tour, including Major Lazer and Zeds Dead, fans may have been left wondering who or what the tour's Jack Ü was. Diplo has now cleared everything up, confirming that it's his new project with EDM kingpin Skrillex. Diplo made the reveal on Twitter yesterday (April 30), writing "Jack u ... Means skrillex+diplo together." It's unclear at present if the pair have been collaborating on any new recordings, but according to the current tour schedule, they're due to perform live at the Mad Decent Block Party's stop at San Diego's Petco Park Lot on September 15. You can find the rest of the tour details here. 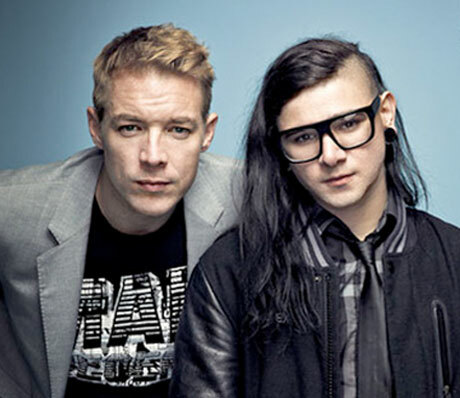 Skrillex and Diplo aren't exactly strangers, mind you, having worked on a Michael Jackson remix with A-Trak in 2012, toured together on last year's Full Flex Express trip, and teamed up again with A-Trak this year to launch the YouTube channel POTATO.